So, What is OEM ink? OEM ink comes directly from manufacturers like Canon, HP, and Epson. OEM ink is always more expensive than it’s “non-OEM” equivalent. Then, what is a “non-OEM” ink cartridge? A non-OEM ink product is a generic, or “compatible” version. Compatible ink is essentially ink or toner manufactured by a third party that is designed to work with specific printers. The concept is very similar to that of generic drugs, as name brand compatible ink is much cheaper than what is known as name brand “OEM” ink. Compatible ink has been a thorn in the side of big brand names like Canon and Lexmark, as it has grown to a multi-billion dollar business; commanding about 25% of the replacement ink and toner market. This has spurred a number of lawsuits from large brands claiming copyright infringement and unfair competition against companies like 123inkjets and 4inkjets. The result of a 2007 lawsuit against 123inkjets brought by Epson reaffirmed that these “compatible” inkjet cartridges must be labeled as such (or as refilled, or remanufactured) so as not imply that they are being sold or endorsed by the original company. It also restated that a number of regulations be enforced against compatible ink including manufacturing, quality, and import laws. 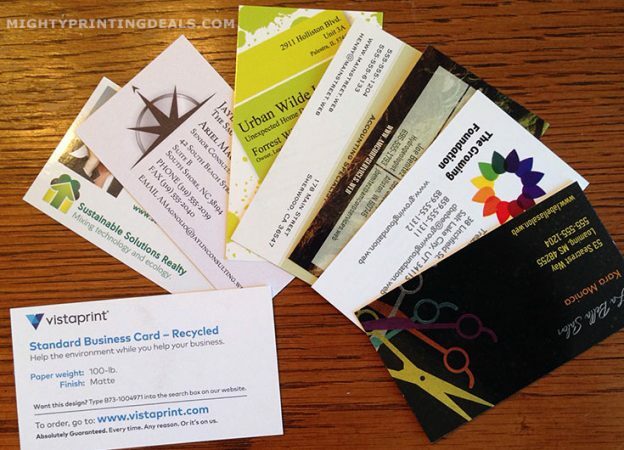 *New: 500 Business Cards for $10 from Vistaprint! How is compatible ink different than recycled ink? The two products are actually similar in a lot of respects, but the main difference is that compatible inkjets are made with all new parts and materials, whereas recycled, refilled or remanufactured” ink is sold in the reused containers of name brand ink. 10% off + free shipping at 4inkjets.com! Reusing these mostly plastic containers allows purveyors of recycled ink to make the claim that their product is friendly for the environment. Is Generic (Compatible) ink as good of a quality as name brand ink? Most third party tests show little difference between compatible and OEM ink, but there is debate among some customers as to whether they are equals. Although most compatible ink performs to high quality standards, (known as iso 9001 standards) a number of the negative reviews that I have found claim that the color prints and copies from compatible ink are not as bright and durable as OEM inkjets and toners. I think that it is a personal choice whether to buy name brand or compatible ink the same way there is often a choice between name brand and generic at the drugstore. If you are printing photographs or high quality glossy images, I think you should lean towards paying extra for the real McCoy, aka, “OEM,” even though they are excluded from coupons. If you are like me and mostly print out things that won’t be scrutinized for quality, you should lean towards the cheaper compatible inkjet alternative. Also, if you run a small business or print a large volume of pages each month, the cost difference becomes more of a factor, as that 20-50% that you save with generic ink could mean hundreds of dollars. This entry was posted in printing and tagged ink, inkjets, iso 9001, printer ink on September 14, 2018 by kevin. 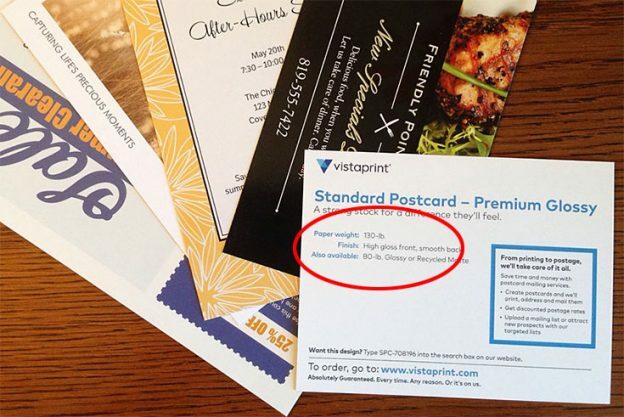 Vistaprint Postcards – My Real Review + Today’s Best Coupon: If you are looking to use postcards as part of your marketing strategy, you might want to consider Vistaprint. They have some of the best pricing & highest quality custom postcards, and when you use a coupon you save significantly more. I’m building an online shop to sell t-shirts and posters, and looking to stretch my advertising dollars wherever possible. So, I saw the recent promotion from Vistaprint offering 50 small (4×6) postcards at 25% off. This lowered the price to only $8 + shipping, so I had to give this a try! Postcards for marketing: An important factor that led me to postcards in the first place is that I’m looking at a relatively small profit margin from any t-shirt sales that I make. If each sale nets $5 in profit, I have to be careful where I spend my money. Postcards for Profit: The other use I’m getting out of these cheap little postcards is to print my artwork on them and resell them as small “prints.” The quality is good enough to do so, and while they only cost me a quarter each to print, I can resell them for $3 each. Not a bad profit margin! *Tip: If you want to read more reviews, there are actually customer reviews under every popular product, including postcards, at Vistaprint.com. These aren’t filtered, either, as some of the reviews are negative. In the last few years there has been a mad rush to spend advertising money online through sites like Google Adwords and Facebook. This is certainly understandable, as never before has technology allowed you to target niches of people online so quickly and easily. So, is there still a place in the marketing world for the barbarous relic that we call the postcard? Of course! So, before Igo on, here’s my review: These look great and have me really excited about their potential uses. The annoying thing was that none of their postcard sizes (small, standard, or oversized) corresponded to the proportions of my design, so I had to take some off the top. You can cut the cost per piece in half pretty quickly if you are ordering a large number, but for my purposes I’m estimating their cost at about a quarter each, including shipping, as I’m only printing 50. Ok, I have these great cheap postcards, now let’s put them to use! Here we are in the 21st Century, but still not lost in a world of virtual reality, or even virtual currencies. Even though digital money makes more sense than costly paper and metal currency, we still use it. Not only that, but the value of gold and silver has risen steadily since the invention and popularity of the internet. This is because there is still great value in things that are tangible. Even though a Google ad serves a valuable purpose, it is not tangible, and disappears into the ether the moment you click, or move on to a different page.You’d also think that with the wide-spread use of of smartphones we could stop chopping down trees to print coupons, right? Nope, people use those annoying coupon mailers you get every month because they are tangible. You just can’t replace that quality. Try petting a photo of a baby bunny on your iPhone… See, it’s not the same as the real thing! So, let’s see how we can use this old-fashioned marketing medium in today’s digital world. 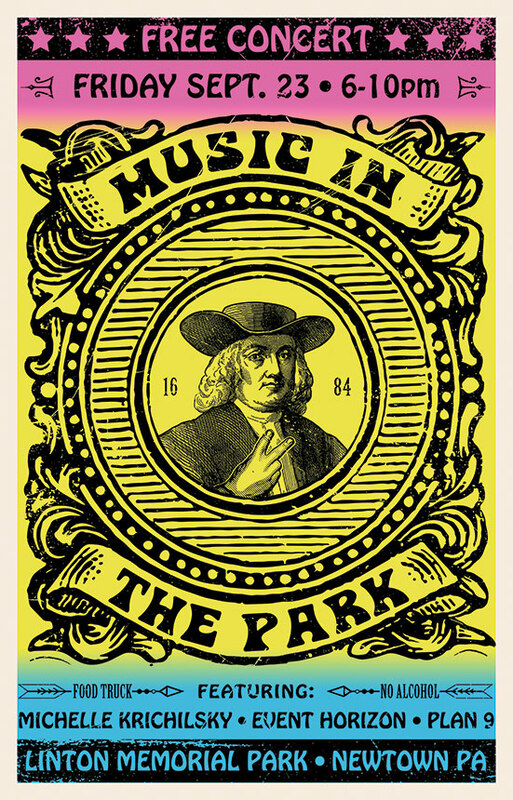 (Not to be confused with “smack it up, flip it, rub it down!” lyrics for “Do Me, Baby”) Since I’m only printing 50 postcards and investing about $15 here (including shipping), I can’t afford to festoon entire cities with my postcards. 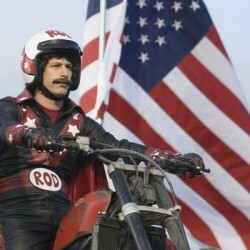 But, let’s see if I can make that meager $15 a good investment. First, I’m going to tack one of these postcards on every free bulletin board in town. There’s one at Starbucks, the local library, pizza place, and hardware store, which happens to be next to a PetSmart. I figure a lot of people will see these postcards, so ideally the web address of my online store would be prominent on the front. That may have been my first mistake, but I did print the back of the postcard for an extra $2.25 as well, (see below) prominently showing my URL. In this case, I figure if someone likes the design on my postcard enough to take it off the bulletin board and home with them, they are at least going to check out my website. At a cost of about a quarter per postcard (the same price I was paying for a click from Google) this isn’t a bad option. The postcards I had printed through vistaprint.com are nice enough to frame, or sell on their own. There is no annoying Vistaprint logo on the back, (like Shutterfly has) so, as a customer these look more like “small prints” than “postcards. At a cost of a quarter each, you have nice room for a profit margin, even if you sell them for $1 each. 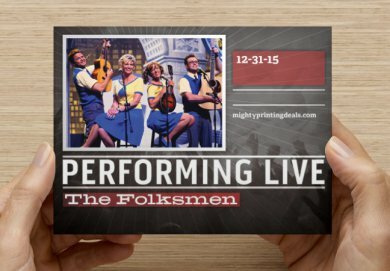 If you are at a trade show or event, you can frame one or more of these postcards, as they are a standard 4×6” size. 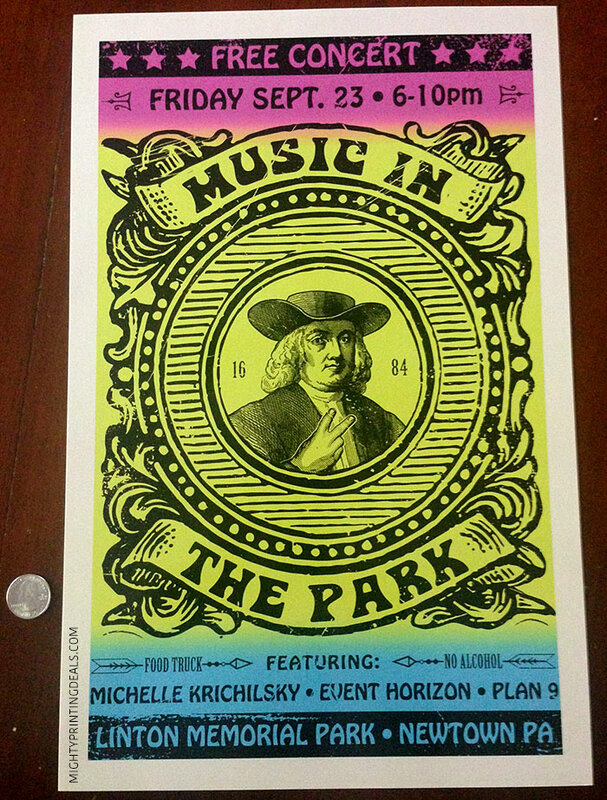 If you print your artwork on them, it’s almost like a little handbill like the ones they used to give out for concerts. Add a cheap black (wood?) 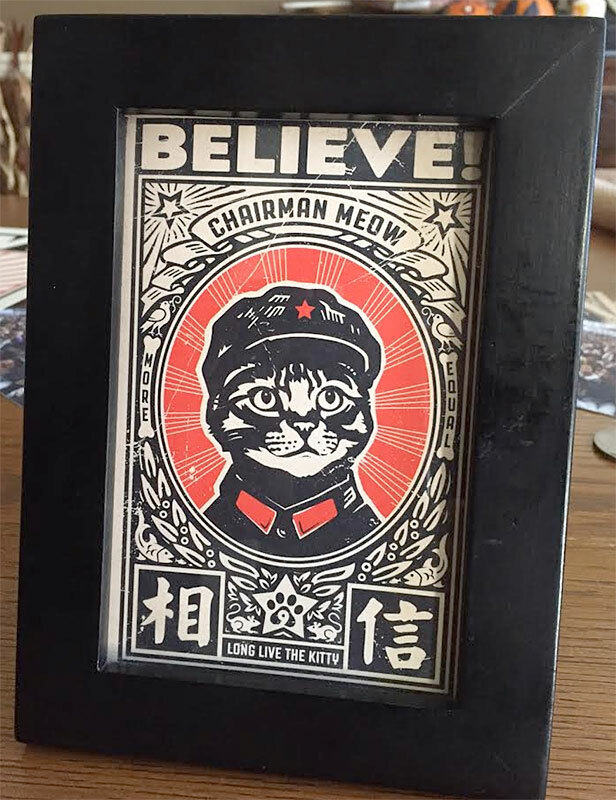 4×6” or 5×7” frame from your local Michael’s store, and the framed postcard might only be a total investment of $5 or so. Their oversized postcards are at a 8×5 x 5.5 size, so while they are great as a “print”, framing them may be annoying at this non-standard size. I’ll bet that as an artist or photographer you could easily resell a framed postcard of your art or photos for $10 each! I imagine if you are paying to have a little space as an artist in a market somewhere this is actually a pretty good option for selling your designs. Vistaprint lets you choose the finish of the postcards, so you can decide on matte or glossy during the design / checkout process. 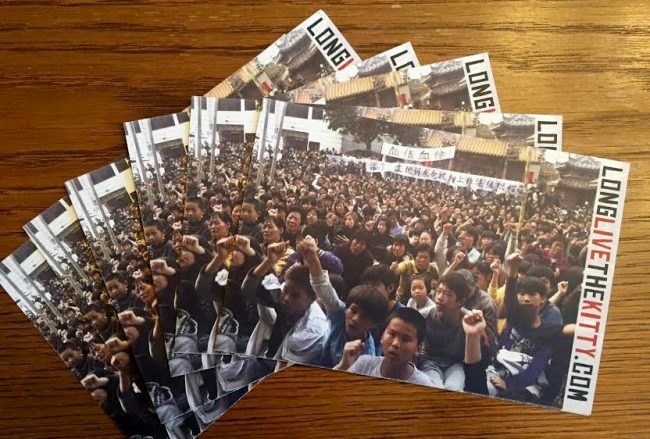 If you don’t want to resell these postcards, then at least display one of the framed ones for people to look at. A small “postcard” of your design(s) would be a welcome, low cost addition to any Etsy store as well. Maybe your full-size prints are $20, but these can be added to an order for $2 each. Or, have a lot of them printed, and sell them as “postcards” in groups of 6 or more. 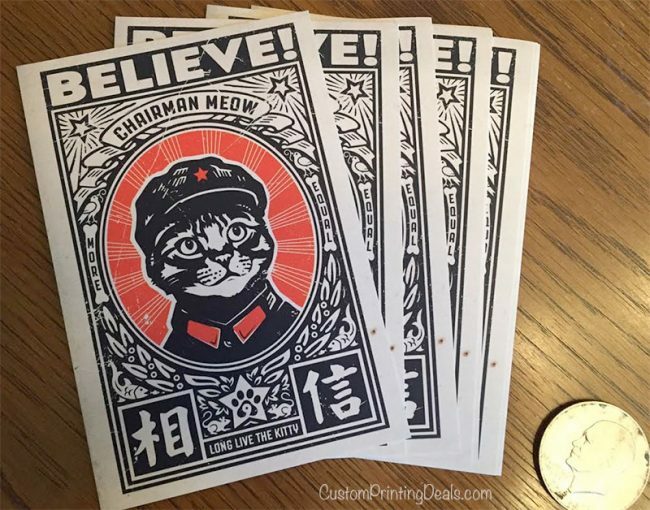 (that’s my attention-grabbing back of the postcards; you know, like everyone rallying for Chairman Meow?) I have a framed poster up at a local coffee shop, so I’m going to leave about 20 of these postcards on the little table next to where my artwork hangs, along with some of Vistaprint’s free business cards coupon. This way, people interested in my poster can take something tangible home with them to check out the URL. We all have short attention spans, so with a business card or postcard they won’t forget to go checkout my shop. Once again, the postcards are about a quarter each, so I feel good that at least 1 in 20-30 people who takes one will buy something from my site. Actually, the investment looks better on paper for the cheap or free business cards, (only 3 cents each) so I can leave a hundred of those behind and feel even better. If you want to leave a stack of postcards somewhere, I suggest printing many more than 50 to bring the price per piece down. Otherwise, at 20 cents each your return on investment may be too low. 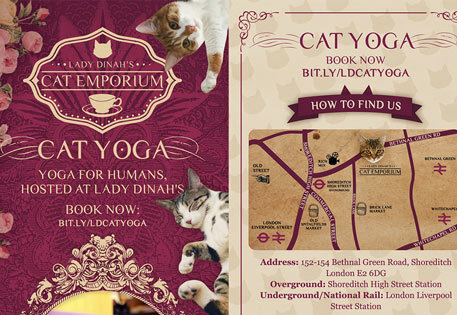 Here’s some postcard design ideas on Pinterest. Be sure to use a coupons or promo code towards postcards! This entry was posted in printing, vistaprint and tagged postcards, vistaprint on January 3, 2018 by kevin. While technology has changed vastly in the last couple of decades, nothing has replaced the effectiveness of getting something into people’s hands. We’re still tactile learners and observers, and while we can ignore over 99% of banner ads online, we usually notice postcard-sized ads that are handed to us or appear in our mailbox. 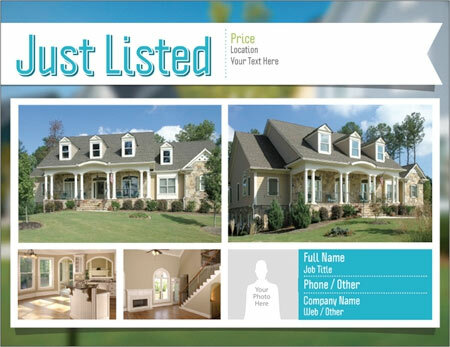 That’s where flyers can help; they are an inexpensive, versatile form of marketing that has passed the test of time. 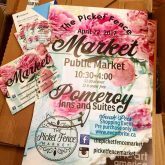 Should flyers be a part of your small business marketing plan? If you are a brick and mortar business or restaurant owner, you’ve probably had to step up your marketing efforts in recent years. Not only do you need to focus on social media and customer reviews like never before, but if a site like Amazon sells similar products, you’re going to have to separate yourself from the crowd. 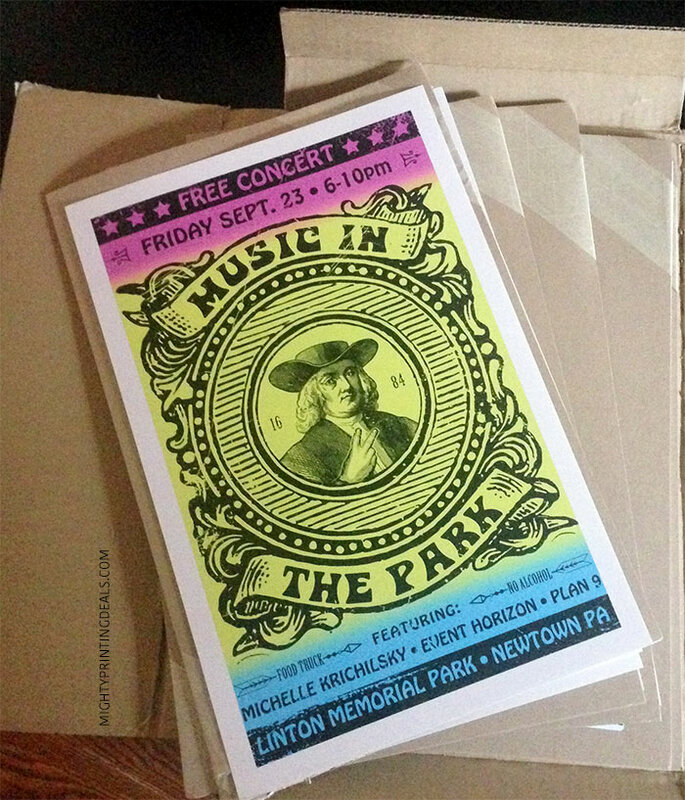 Community Event Flyers – You don’t have to be selling something to mail or give out Vistaprint flyers. Pass them out or leave a stack of them at schools, events, or even the public library. As Princess Anna once said, “Why have a ballroom with no balls?” Flyers help give balls to your marketing campaign! OK, so which Coupon for Flyers is Best? If you are considering placing an order for flyers at vistaprint.com, definitely take a couple of minutes to find the best available coupon or promo code. There is always a promotion that includes flyers, so consider site-wide promotions as well as flyer-specific coupons. The best place to compare all coupons is at our Vistaprint coupon page. Vistaprint reserves their best coupons for new customers, so look to get both a percentage discount and free shipping on your first order. You’ll probably have to meet a minimum order size for free delivery, but it’s usually only about $50. Most serious orders of flyers can easily exceed that. Note: Customers who did post bad reviews of flyers on Vistaprint.com were offered a credit on their account for the entire purchase, giving them a second chance to get it right. This entry was posted in printing, vistaprint and tagged flyers, vistaprint on December 2, 2017 by kevin. Printer ink price per ounce is insane: Do you realize just how much name brand printer ink costs? Ah, yes; Chateau Petrus, which has a reputation for being one of the best, and most expensive vintages of wine available. In fact, silly humans can pre-order a bottle of it for about $1600 online, although don’t plan on bringing it to dinner next Friday night (to compliment Mom’s meatloaf?) as it might not ship for a few months. “Wow, I would never splurge on something that decadent,” you say! Something so extravagant is surely only bought by fat cats who wear monocles and light their cigars with $100 bills, right? Name Brand Printer Ink Can Cost $70 Per Ounce! Actually, depending on how you price it, you might already be buying something just as lavish. As you can see in the graphic above, the price per ounce of printer ink is actually more than this legendary wine. 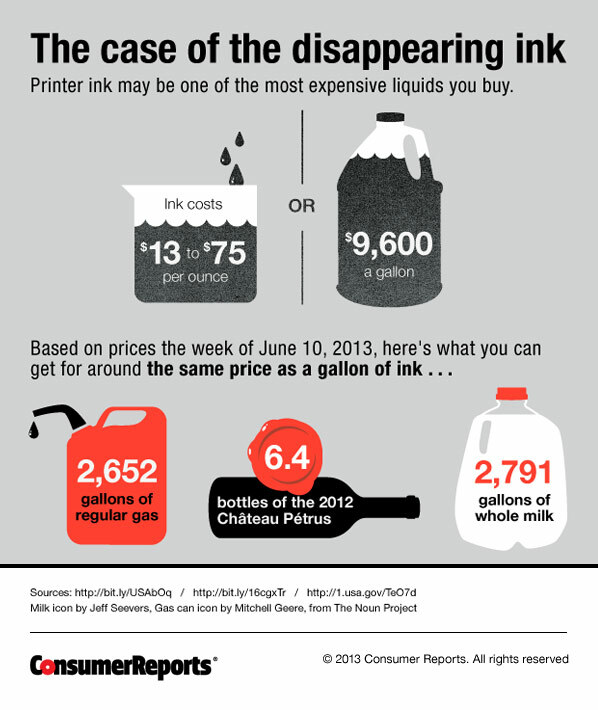 Printer Ink: The Most Expensive Liquid You’ll Ever Buy? Anyway, the point being illustrated here is that printer ink is probably the most expensive liquid that you are ever going to buy. One way to stick it to The Man is to consider opting for “name brand compatible printer ink,” (aka “generic”) which can cost less than half as much as the “OEM” genuine ink. The market for it keeps growing, and it has become a billion dollar industry, to the dismay of those big printer companies. Don’t just buy generic ink anywhere though. Like that ink you see displayed in the window of that stereo shop in Chinatown? (with a crudely drawn “Tony the Tiger” on the packaging) Skip buying that brand. To ensure quality, you’ll want to be sure to buy ISO 9001 certified ink (meets quality standards) from a reputable online store like 4inkjets (coupons) and 123inkjets. This entry was posted in printing and tagged printer ink, wine on November 22, 2017 by kevin. 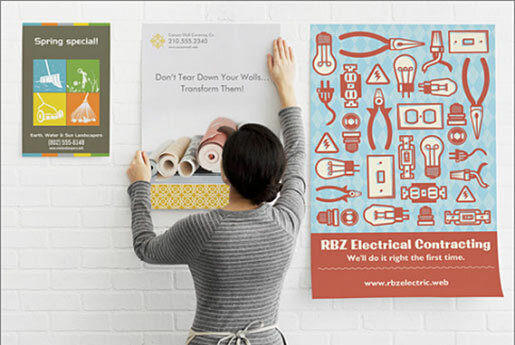 Free stuff from Vistaprint for your business – If you’re a small business considering printing marketing materials,it might help to get samples in your hands before putting together an order. 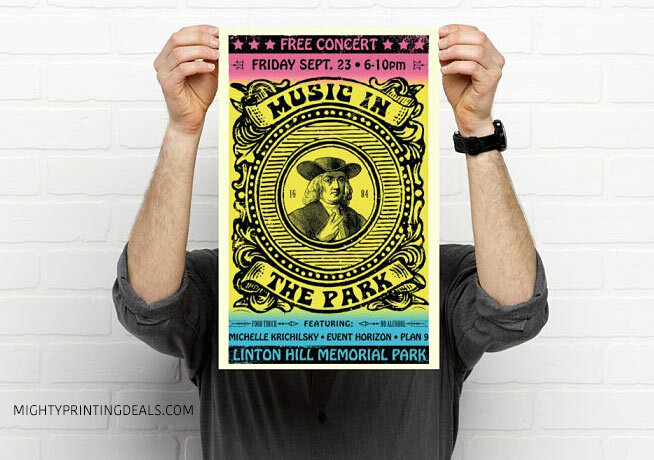 In fact, a number of online printing services offer free samples, including Vistaprint. 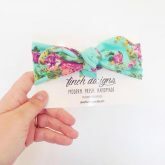 *Note: These samples can’t be customized, as they are intended to demonstrate sizes, print quality, and paper stocks so that you make a better informed decision about future orders. So, They Replaced Their Free Business Cards Offer? You might remember seeing Vistaprint’s famous offers for free business cards and other free stuff. Basically, you’d have to pay for shipping, and they would try to up-sell you on a number of items before you could checkout, and it was annoying. They’ve decided it makes more sense to try to get ongoing customers who have a myriad of marketing needs like postcards & brochures, so this free sample kit for small businesses is a better solution. Also, unlike the previous offers it includes free shipping! New: Vistaprint 500 business cards for $9.99 or 100 economy business cards for $1.99 + shipping. Q: Can we mail these awesome free postcards to friends and family? A: No, please don’t. That would be sad. What Does Their Free Sample Kit Include? How Long Do Vistaprint’s Free Samples Take to Deliver? When you request free samples, Vistaprint tells you that you should get them in two weeks. Personally, I got mine delivered in exactly 6 business days! This entry was posted in printing and tagged free, free samples, vistaprint on June 21, 2017 by kevin. How Do Inkjet Cartridges Work? No Tiny Elves Involved; Fascinating! Turns out that those little things are complex mechanical systems with mind-blowing accuracy. Did you know that each of the hundreds of nozzles on a typical cartridge is only about 1/3 the width of a human hair? Pulses of energy create a super-heated vapor bubble that forces ink droplets through the nozzles and onto the page at up to 31 miles per hour! As you can see, the ink scientists over at HP are not only cooler than you, but they know a lot of interesting things too. It almost makes you forget how expensive ink is per ounce! 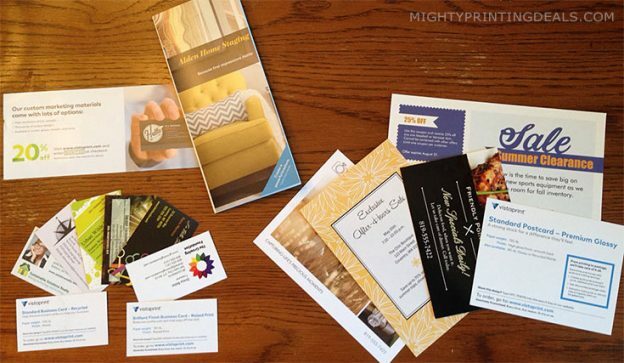 More deals: get 500 free business cards from Vistaprint here! This entry was posted in printing and tagged 123inkjets, 4inkjets, ink, inkjets, iso 9001 on February 4, 2017 by kevin. Did You Know: Inkjets Printers Waste 50% of the Ink You Buy? Anyway, we can’t do much about how the government wastes our money, so let’s look closer to home. In fact, let’s look at your inkjet printer. We’ve already mentioned how expensive printer ink is, so at least it’s being used efficiently, right? Wrong! 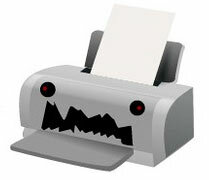 According to Consumer Reports, about 50% of that printer ink never hits the page. In fact, the worst offenders only output about 30% of their ink to the pages! So, why are inkjet printers so wasteful? It seems that the culprit is the intermittent use of our printers. How many pages can you get out of an inkjet cartridge? What this means is that a manufacturer might imply that you can print 400 pages from one OEM (genuine name brand) inkjet cartridge, but in reality it’s going to be closer to 200 pages because of the intermittent use of our printers. Consumer Reports also found no correlation between the amount of ink used in maintenance and performance, and no correlation to the price paid for ink and quality. In other words, (unlike a sweet 1970’s muscle car) it isn’t really necessary for them to waste that much fuel, or to pay for the high octane. What can an honest taxpayer do? Well, as far as the government waste, we’re all stuck, but consider buying generic name brand compatible ink instead. Want to save even more money? Grab a coupon for 4inkjets or 123inkjets and save an extra 10-20%! 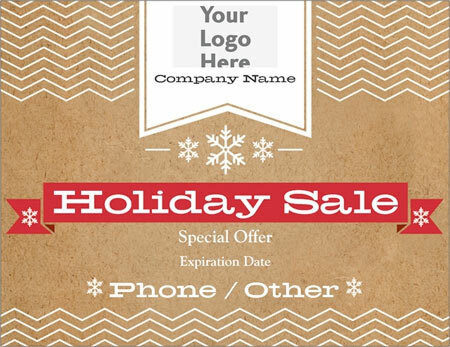 Want to save on custom printing online for business cards and more? Check out the latest coupons here. This entry was posted in printing and tagged 123inkjets, 4inkjets, ink, inkjets, printer ink on November 4, 2016 by kevin.